The ZD420 is also available as a healthcare model. 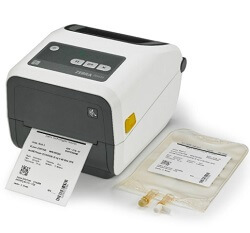 The ZD420 Healthcare comes with all the features included with the standard ZD420, plus disinfectant-ready plastics and a sealed button interface that make it easy to clean and disinfect. And the power supply is IEC 60601-1 compliant for use in healthcare facilities.